A healthy 8-year old boy named Gleb went for holidays to his grandparents in Siberia. One day, Gleb decided to play, so he collected some pine cones in the forest and went down to his grandfather’s cellar, where he started a little fire. Fortunately, his grandparents almost immediately saw the smoke. The consequences for the boy were appaling: he got some severe type of toxic encephalopathy which affected the basal ganglia. Gleb got through a hard period of treatment in the intensive care unit in Russia. Fortunately, the negative prognoses of the doctors didn’t come true, and gradually the child regained his consciousness, but his medical state was still grave. His parents immediately decided to find a rehabilitation centre to recover his motor functions. 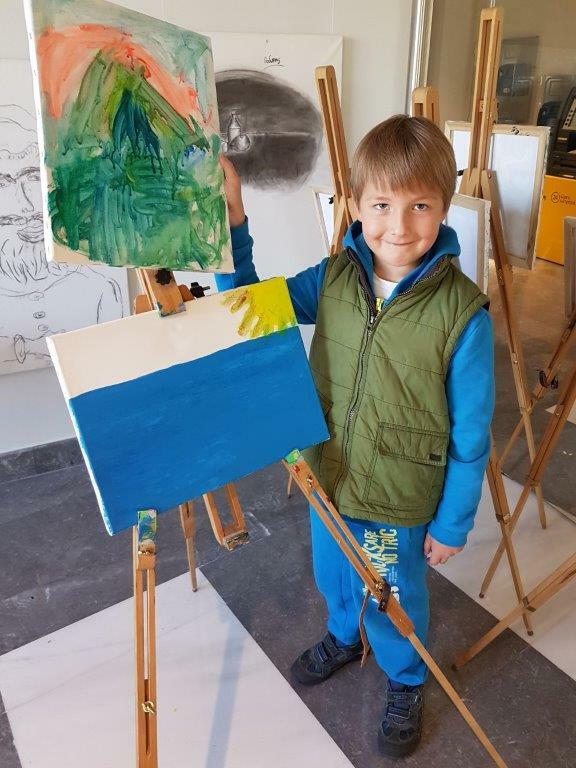 They got recommendations from their friends about the Medical and rehabilitation centre “Anagennisi” in Thessaloniki, so Gleb and his mother shortly came to Greece for treatment. Doctors created a special rehabilitation programme for Gleb with physiotherapy, hydrotherapy, kinesiotherapy and exercises with the Bobath approach. Within a month the boy had achieved great results: he started to walk correctly again, his coordination has been almost fully restored. However, his hyperkinesia was worrying the neurological rehab specialistst, therefore they decided to send him to the specialist in child neurology of St.Luke’s Clinic Athanasios Evangeliou for an examination. The doctor diagnosed a mitochondrial dysfunction and prescribed him some medicine to keep his state stable. Till today, we have been in contact with the boy’s mother, learning about his state at the moment and we are happy for his improvement.